It takes a lot of hard work to be the best. It takes innovation, skill, and determination. It takes focus. Rocky had focus; hell, he had the eye of the tiger. Michael Jordan had focus, and the greatest line of sneakers of all time. Connor McDavid has focus, and will surely lead the Oilers to the promised land. And Ford has the Focus — only one of the best selling nameplates of all time.  So take it from the team at Team Ford, Edmonton’s best Ford dealer; we’ve got focus, and we’ve got Focuses. So read on to find out what makes the Ford Focus so special, and why you want to be behind the wheel of one. For those unfamiliar, we will be focusing our attention (it’s okay to groan) on Ford’s 1998 entry into the compact car market. The Focus was part of Ford’s then-CEO Alex Trotman’s plan, which focused on (sorry, I’ll try to stop) globalizing model development, and selling one compact vehicle worldwide. This turned out to be the start of an excellent business plan, which allowed Ford to focus (okay, last one I promise) on fine-tuning a model that would become a huge part of its lineup. The Ford Focus has universal appeal; a small, inexpensive mode of transportation for first time buyers with multiple body styles ranging from 2-door coupe to hatchback to 5-door wagon, the Focus comes in a variety of packages to please all. The exterior of the Focus (talk about an oxymoron) ranges from subtle and unassuming, to the aggressive and eye-catching bright Nitrous Blue of the 2018 Ford Focus RS LE. Looks alone won’t make you one of the best selling nameplates in the world, and practical design is a major part of what makes the Ford Focus so universally cherished. Upon designing the third generation Focus, designers wore a “Third Age Suit,” that gave them an understanding of the mobility challenges faced by the elderly. With this information, they were able to focus (I’m really sorry, I can’t help myself) on how to make the Ford Focus accessible for all. So far we’ve got looks and design covered, but what about performance? Well, over the years the Ford Focus has had major appeal to the performance and tuner segment, thanks to the Ford Focus RS and Focus ST. The Focus is an affordable base for tuners to customize and create a vehicle of their own. So popular among the performance community, that the 2018 Ford Focus RS Limited Edition was modified and released by Ford, based on online feedback from the tuner community. The Focus’ small size, combined with, in recent years, Ford’s powerful EcoBoost engine, make it an incredibly unassuming everyday driver capable of peppy power mixed with exceptional handling. And this skill set has served the Focus well outside of the general public. The Focus has had great success in the rally world, including the manufacturers’ title win in the 2006 World Rally Championship season, breaking a twenty-seven year dry spell for Ford. In 2012 and 2013, the Ford Focus was dubbed the world’s best selling car, according to registration data collected by Polk, a branch of IHS Automotive. Ford sold 1,097,618 Focuses in 2013, including over 400 thousand in China (a 50% increase over their previous sales in China), which basically amounted to Ford selling more than two Focuses every minute of every day that year. Part of the Focus’ success, was due to CEO Alan Mulally’s common platform approach. Taking a page out of Alex Trotman’s playbook, Ford downsized again, taking their 27 different worldwide vehicle platforms down to 15. This increased the amount of parts Ford could share between vehicles, which lowered costs and raised profits, and resulted in the Focus becoming the best-selling nameplate in the world in 2015 — with 12 million units sold (and counting). The North American Ford Focus was being built in Michigan with plans to move the production in 2019 to a Mexican factory; however, after coming under intense criticism from the American president, the new Mexican facility was cancelled, only to have production moved to a Ford facility in China. This will have no bearing on American jobs though, as the Michigan plant will be producing the new 2019 Ford Ranger and the revived, 2020 Ford Bronco. The new Focus will be assembled in one of their Chinese factories, which has been producing Fords for its own domestic market since 2012. The Focuses will then be imported to the U.S., in a move that will save Ford about $1 billion dollars in costs compared to the projections for the Mexican factory. The worldwide sales of the best selling Focus are proof that no matter where the Focus is built, it is built for roads everywhere. The Ford Focus has undergone many changes since it launched in 1998. From its humble origins as an affordable compact car, to rally success as a performance-driven hatchback, to its latest iteration as a fully electric vehicle, the Focus has proven itself time and time again as one of the world’s best selling nameplates with a knack for both practicality and performance. If you’ve never been behind the wheel of a Focus, or are just looking to upgrade to a newer version, Team Ford is focused (literally the last time) on helping you make that a reality.